We have plenty of free or low-cost activities on offer to help you improve your physical health, all year round. Whether you’re 15, 50 or 95 there’s something here for you! Hatha class, suitable for all levels including complete beginners. 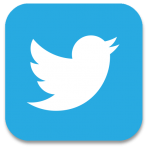 People with hearing difficulties and BSL users particularly welcome. 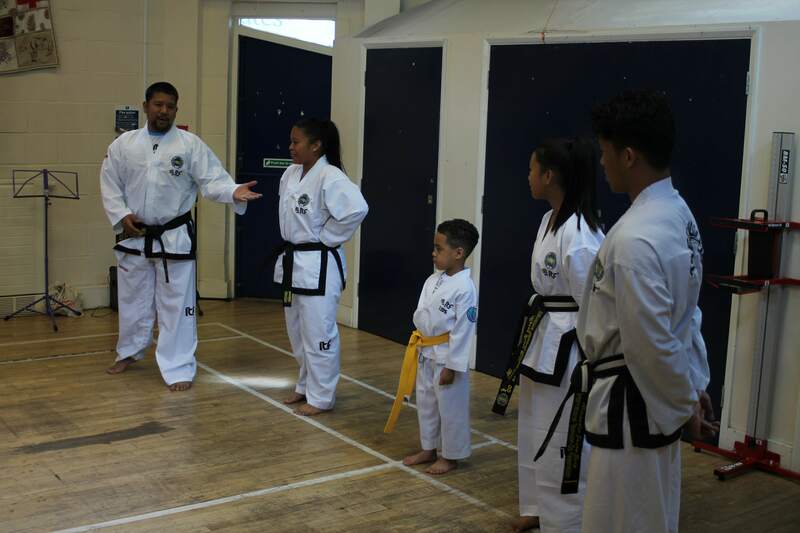 Students follow the 5 tenants of Taekwondo, courtesy, integrity, perseverance, self control and indomitable spirit. There is a charge for this activity, to find out more contact Bernardino on 07446 120189. Table tennis 6-8pm (ALL AGES, £1 by donation): Anyone for a spot of ping-pong? 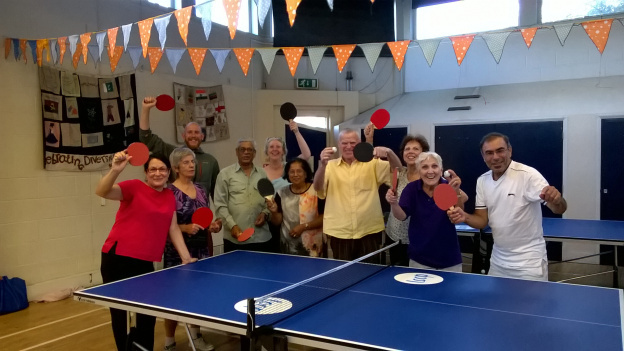 Join in every Monday evening with this friendly, all-abilities session lead by a volunteer professional table tennis coach. Children, parents, young and older people socialize, keep fit and have fun together. Our ping-pong sessions are so popular that we had to invest in a new table! We now have four, some of which were courtesy of the brilliant Loop in the Community initiative. There is also a board games corner available for whoever feels like a break from running around! Seated exercise 1-2pm (AGES 50+, £3): Low impact exercise to improve your bone and muscle strength, joints, mobility and flexibility. A very popular class which has been running for many years. Wednesday Walks 10am – 12pm: (AGES 50+, free): Just want to get a little more fresh air? Socialise with people in your community while you walk, discovering new routes and seeing the sights of London. Bring your freedom pass! Contact Gavin for more info on 07505 933617. Dance Fusion 4.30-6pm (ALL AGES 19+, free): A chance for people of all ages to benefit from Emma’s expert tuition. Want to release your inner dancer but can’t decide between Rock’n'Roll, Disco or Charleston? Well come and learn these and many more styles on this free six-week course. To see when it’s next on, please contact Simone for more details on 020 7624 8378. As on Mondays. On Thursdays, each hour is allocated to a different age group. For full info contact Bernardino on 07446 120189. Boccia: 12.15-1.15pm (AGES 50+, free): A type of indoor bowls and a fun way to compete in a team. 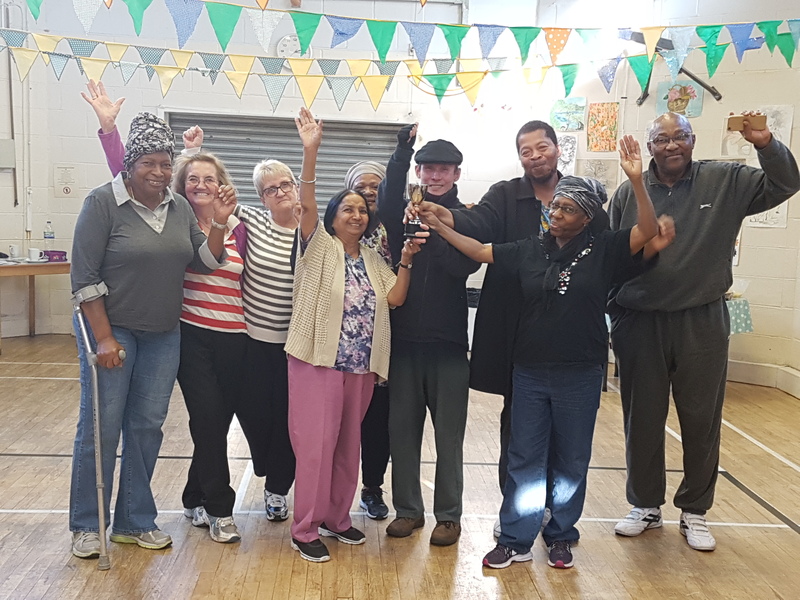 Our Boccia team are the ones to beat in the Camden league! 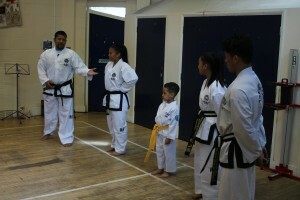 We frequently take part in tournaments and recently were shortlisted for the London Sport Awards. The only question is – will you be in the reds or the blues? Gardening 11am – 1pm (ALL AGES, free): Drop in and help out in our award winning community garden. Get some fresh air and work those muscles – digging, watering or planting! 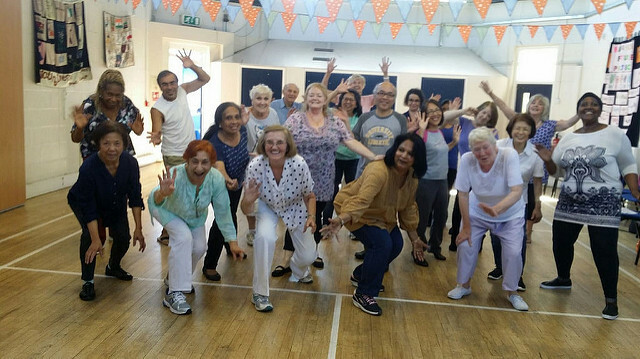 Gentle Dance 1.30-3pm (AGES 50+, free): One of the most popular groups at Abbey. Fabulous instructor Emma Weir leads dancers of all abilities and genders through the steps. Abbey’s Men’s Club 1,30-3.30pm (AGES 50+, free): One for the guys! We have the ping pong tables out during our men’s session so grab a bat and challenge a new mate to a game. Got a question about any of the above? Please contact Reception on 020 7624 8378 and they’ll put you through to the right person.